I have about 14 blog posts drafted. Most circle around ridiculous things that Nora Beth has said and the angelic sweetness of Annablair. But apparently, the only posts I’m capable of publishing these days are spiritually focused or about groceries. So. Maybe groceries are a spiritual experience for me. Maybe not. I shop a week ahead of my Pots & Plans customers to test out recipes, ease of cooking and cost of groceries. 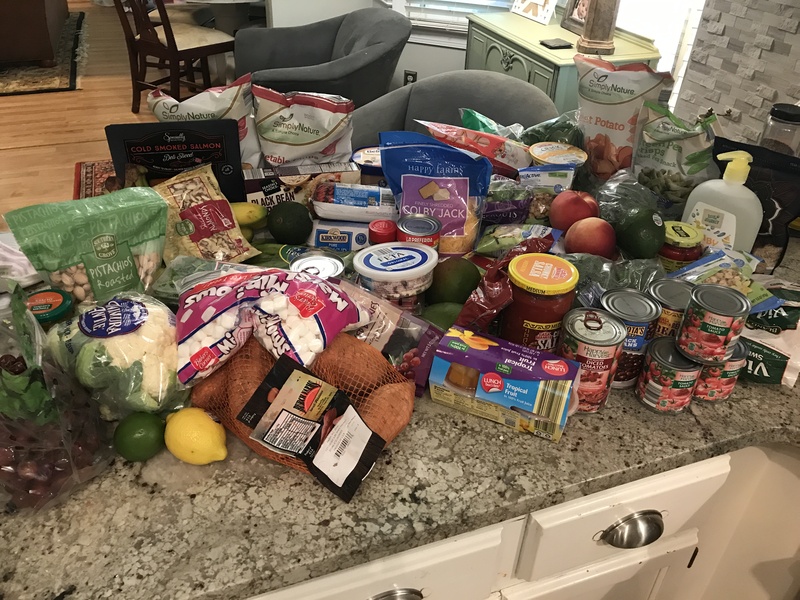 This week, we skipped church (oops… but you know that spiritual grocery shopping), and I took NB with me to shop while David snuggled at home with Annablair. Our neighborhood Aldi is now closed for renovations, and Sunday was its last open day. I thought we’d score a lot there, but we arrived to bare shelves, no meat, no dairy and just a smattering of produce. We hoofed it to another location, which had already been renovated, and left me even more excited for our new space. Nora Beth was an excellent helper and desperately wanted to eat raw jalapeños in the buggy. That spicy little minx. Here’s a look at what I got for $98.48 to create 2 breakfasts, 5 dinner entrees, and a week of lunches. Ground beef (2 frozen packages) – $2.99 ea.